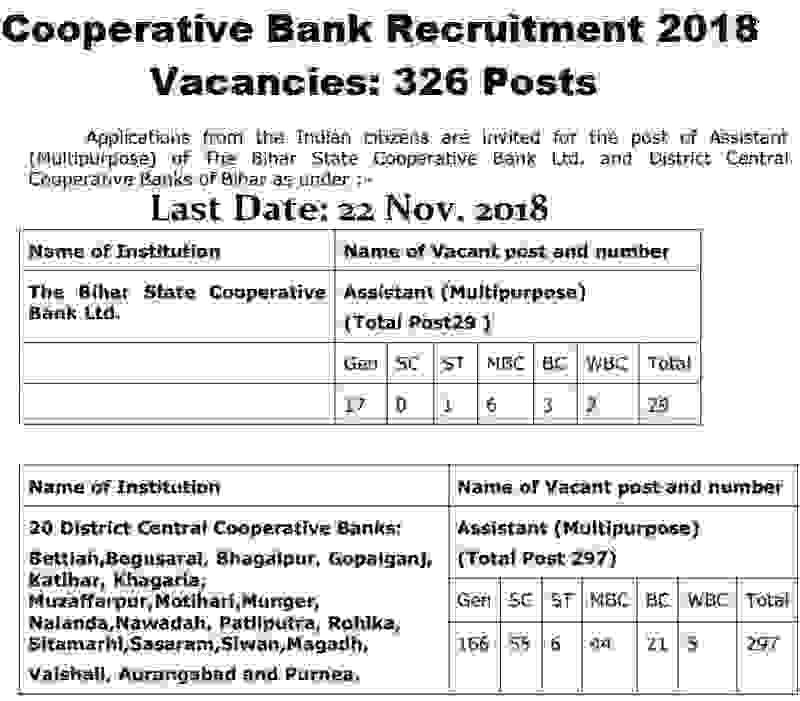 Bihar State Cooperative Bank is inviting all Indian fresher candidates to apply for Assistant job profiles. Bank is looking to fill up total 326 vacant job profiles of Assistant in the various branches of the bank. This is really a good opportunity for all fresher Graduates to grab a Government sector Bank job in India. 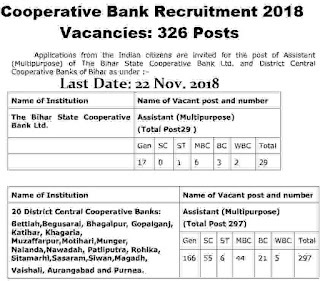 Education: Those who have a Graduation degree in any trade/stream can apply for this Bihar State Co-operative Bank Recruitment 2018.All fresher candidates can apply for these Bank jobs in India for Assistant job profile. Paying Method: The candidates have to pay the above application fee through the online mode only. The various method for the payment of the application fee are: “ Debit Card/Credit Card/Net Banking”. The procedure for applying these Cooperative bank recruitment process is ONLINE through the official website. There is no other method for applying this Bihar State Cooperative bank recruitment process 2018. We also share the link under IMPORTANT LINK section for online application form.